Jaromin crane hire service is based in Oberhausen, in the middle of the German Ruhr region. This area has probably one of the highest concentrations of crane companies and mobile cranes all over Germany. A lot of well known major crane hire companies are located in this metropolitan area with a high concentration of heavy industry within a rather small radius. Many years ago we have prepared and delivered the first issue of an individual crane specification guide for Jaromin. Because the companies' fleet of cranes has changed a lot after the first crane guide was printed, we recently got the order to update and reprint the existing crane spec book. In January we have successfully finished and delivered one of the most comprehensive equipment guide projects of our company history. With a printing volume of nearly 2,11 million pages we have delivered the new equipment guides for crane and equipment hire Prangl from Austria. 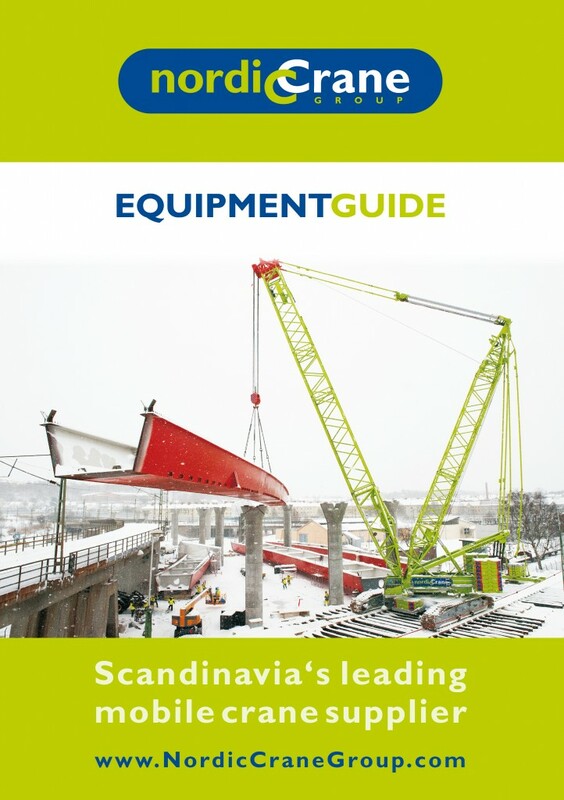 The equipment guide shows specifications and load charts of all the mobile cranes in the fleet. Among them are telescopic cranes, truck mounted cranes, mobile tower cranes, city class cranes, lattice boom cranes and crawler cranes up to 600 tons load capacity as well as several truck mounted loader cranes from Palfinger and other manufacturers. This morning I received a request for a crane manual from Asia by email. The customer is asking for the manual of a Liebherr mobile crane type LTM 1120/1. A quick check on G++gle only shows an ebay auction for the crane parts book, asking 300 USD for the book. Anyone here who has this crane manual and may want to give it away? Any help is appreciated. This week we have prepared printing data for the new crane load chart book for Nordic Crane Group, Scandinavia's leading mobile crane supplier with depots in Sweden and Norway. On Monday the final printing approval was made so that the printing machines can now be started to print these massive equipment guides. The printing volume of nearly 3.5 million pages makes it the biggest single order in the 15 years of our company history. In June the crane chart book will be delivered as pocketbook in size DIN A6 and as ring binder in size DIN A4. With the final approval we have delivered the single mobile crane load charts as search engine optimized PDF-files for the website.